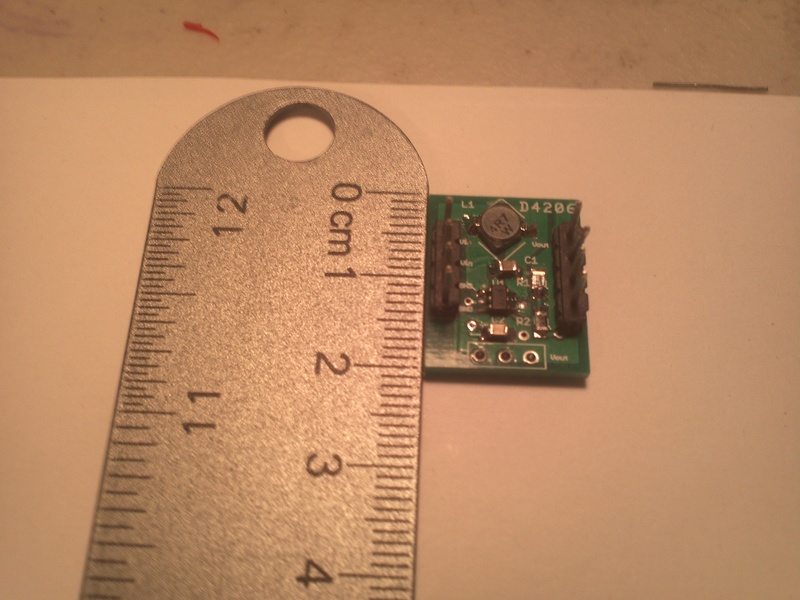 This is my MCP1640 voltage boost module. 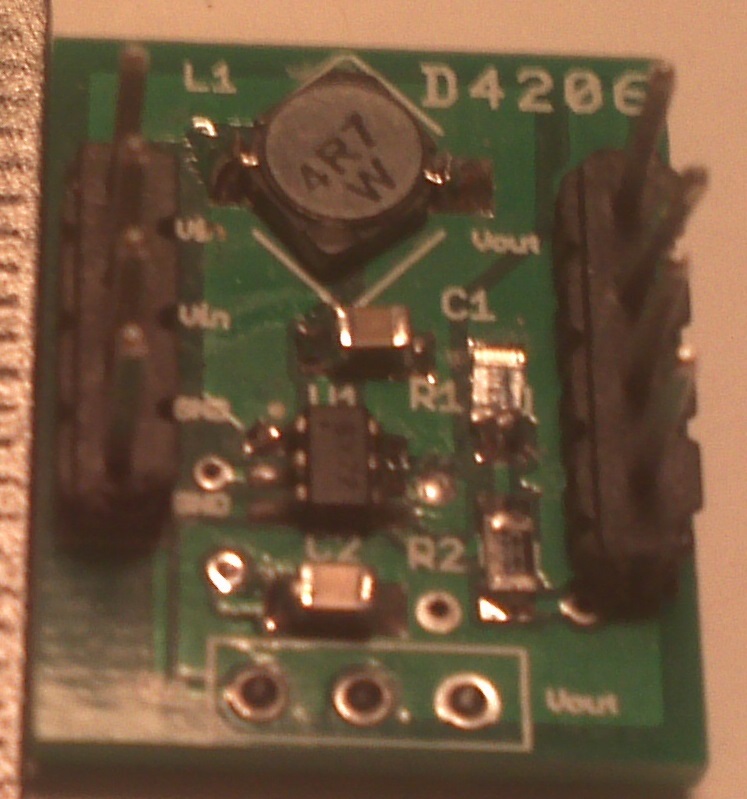 It takes an input range of 0.9V to 1.7V and boosts it up to 3.3V at 100mA. 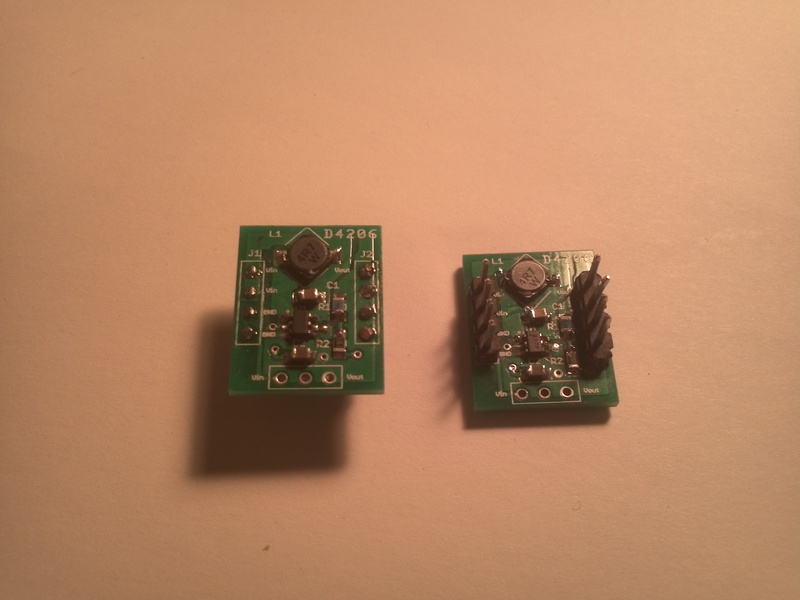 This is a great plugin boost module because of it's high power rating, high efficiency (from the MCP1640 85% to 95%) and small footprint. 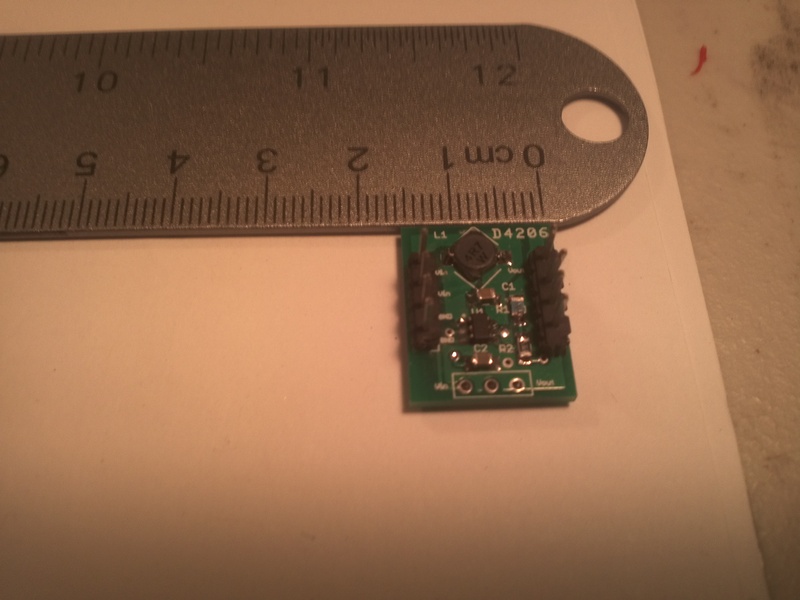 The module is only 20mm by 25mm and this can be reduced for a custom module to ~12mm by 25mm. It can't be used with two 4x pin side headers allowing it to plug in flat or with a 3x pin right angle header allowing for a TO-220 package fit. Below is a link to the design data package for schematics and layout as well as a video and write-up discussing the part in more detail. Please contact me if you have any questions.